When it’s time to plan your next vacation, consider heading to one of many dog-friendly travel cities so you can take your pooch with you. 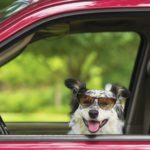 Although there are practical and logistical issues to contend with if you want to travel with your dog, you will be able to take your dog along with a bit of savvy planning and the use of a bit of tech. There are plenty of good reasons to head to Texas and plan to stay in a dog-friendly city like Austin. The city may be considered the capital of live music, but it offers some great canine facilities. Austin is a dog-friendly place where many venues are welcoming. If you head to Red Bud Isle Park, your dog can enjoy a 13-acre pooch playground that will give your dog a great opportunity to burn off his excess energy and give you the chance to take in some music when he’s resting. Another hot spot for dog owners to consider is San Diego. Once there, head to the appropriately-named Dog Beach where owners are invited let their dogs off the leash and have some fun. You should also find plenty of hotels in and around San Diego who are just as welcoming toward four-legged guests as their human counterparts. Consider staying at The Bristol, Blue Heron Cottages or Kona Kai Resort. Another great place to go in California with your dog is Carmel-by-the-Sea. This seaside spot with dog-friendly beaches and hiking trails is an excellent place to spend some time with your canine friend. As an added bonus, the majority of the hotels and restaurants – including the Dog-Friendly Tree House in Carmel, the Casanova or the Portabella – are more than happy to see your pup’s happy face and wagging tail. 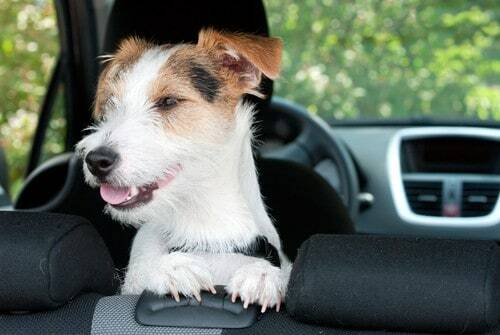 If you’re planning a road trip to dog-friendly travel cities, make sure your dog is car-ready. 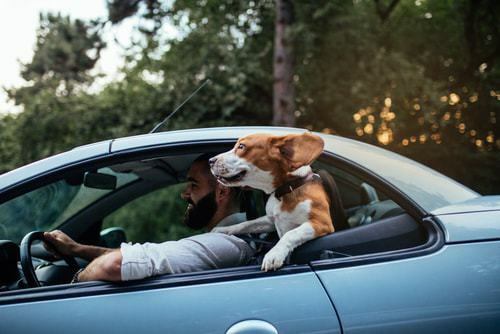 If you haven’t taken many drives with your dog, you might want to plan a few shorter trips – maybe a day trip to a favorite hiking spot or to visit a special friend – to get your dog acclimated to spending a longer time in the car. Once you hit the road, be prepared to stop more often than you usually do. Your dog will need plenty of opportunities to stretch her leg and go potty. If you haven’t already, consider adding the Android weather app to your phone so that you can check the local conditions and pick the right day to head to the beach. 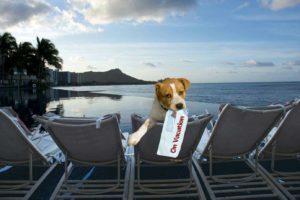 If you are planning to take your dog on a plane to reach dog-friendly travel cities, there are a few tips to remember so that everything goes as smoothly as possible. 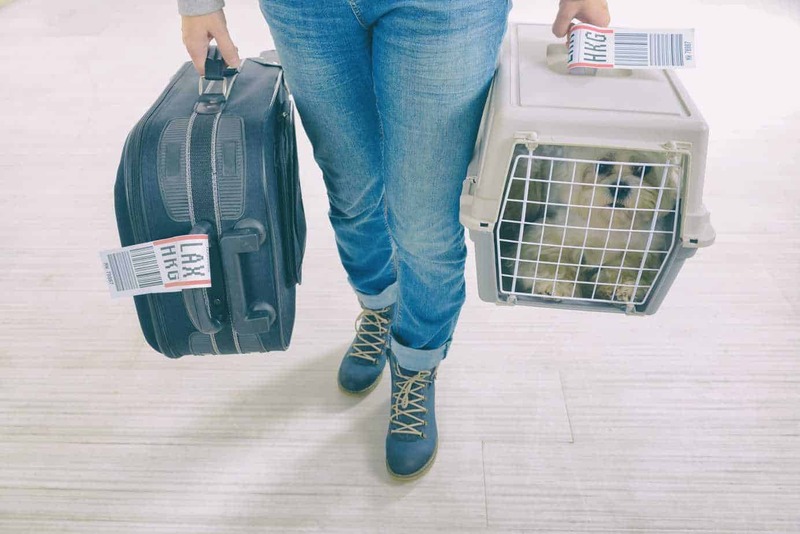 Make sure you check beforehand with the airline what their pet restrictions are so that there are no dramas or surprises when you arrive at check-in. The size of your dog will make a difference as to whether she can travel with you in a carrier under the seat or if you’ll have to check her and her crate to travel in the baggage compartment. Be sure to bring along proof of your dog’s immunizations. Another useful app for dog owners to have on their phones is Barkability, which rates dog-friendly travel cities and provides information on what facilities and activities you can expect to find there. Enter your chosen destination into the app or look at the list of the top-rated dog-friendly travel cities so that you can be sure of a warm welcome when you arrive there with your pooch. You don’t have to leave your dog at home if you plan a trip to a welcoming location and there are plenty of ways to make sure that you both have a good time.